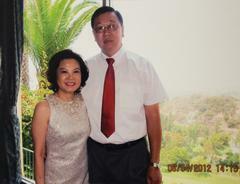 Harris County Sheriff Office investigators have arrested 3 people in connection with the murders of Bao and Jenny Lam, a Spring, Texas couple. During a welfare check on Saturday night, January 13th, the Lams were found bound and shot to death inside their home at 16510 Glorietta Turn in the Village, a gated community in the Northgate Forest subdivision. After entering the locked home, investigators discovered the Lams’ house had been ransacked. An unknown number of guns, jewelry, other valuable items and the couple’s gray Porsche also were missing. The Lams’ Porsche was found in a parking lot off FM 1960 on Sunday afternoon. 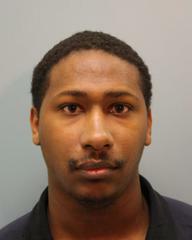 On Tuesday, HCSO homicide investigators released surveillance video of the suspects, the 2007-2014 black Lincoln Navigator they were driving and asked for the public’s help in finding the suspects and the vehicle. The video also revealed the suspects entered and left the couple’s home and the gated community several times after the Lams were killed. 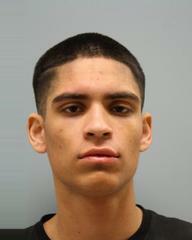 On Wednesday, investigators arrested Khari Ty Kendrick, 23, Aakiel Ricardo Kendrick, 21, and Erick Alfredo Peralta, 20. 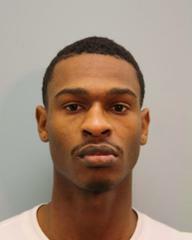 All three men were charged with capital murder and were booked into the Harris County Jail. “I want to thank the Harris County community for helping our dedicated investigators bring justice to the Lam family and get these dangerous criminals off our streets…We join the Lam family in grieving our entire community’s loss,” Sheriff Gonzalez said in a news release. After the suspects were captured, the Lams’ son said his family is relieved. HCSO investigators want to know if other people were involved and if the three men charged were involved in other unsolved violent crimes. Please contact the Harris County Sheriff’s Office Homicide Unit at 713-274-9100 or call Crime Stoppers at 713-222-TIPS (8477). This entry was posted in Asian Community Houston, Asian Community News, Community Alert, Crime News, Harris County News, Houston Crime News, National News and tagged Bao and Jenny Lam, Lams Murder Suspects Arrested, Spring Texas Couple Murdered. Bookmark the permalink.